Legal news for Maryland wrongful death attorneys – The Summerville at Westminster Assisted Living center faces a $2 million wrongful death lawsuit. A lawsuit over the death of 90-year-old woman with Parkinsons was filed Monday, April 19, 2010. Carroll County, MD (www.NewYorkInjuryNews.com) – A Maryland woman filed a wrongful death lawsuit Monday, April 19, 2010, against an assisted living center in Carroll County, alleging the facility made mistakes that resulted in the death of her 90-year-old mother who had Parkinson’s Disease, according to www.wbaltv.com. According to the lawsuit, filed by Linda Yingling, the death of Rose Derrickson could have been prevented if the staff at Summerville at Westminster Assisted Living had been more attentive to Derrickson’s needs. The 90-year-old woman suffered from Parkinson’s and other ailments that lessened her ability to chew and swallow food. 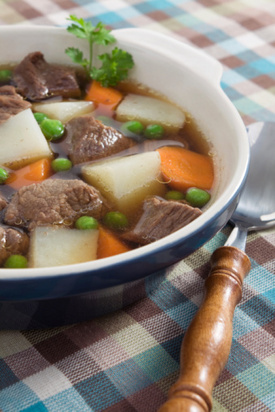 The attorney representing Yingling claims that the center served the woman beef stew that was not cut into sizes that were appropriate for her condition. Derrickson choked on a piece of meat from the stew, causing asphyxiation. She never recovered from the experience and was moved from Westminster Assisted Living to hospice. A week after the incident, she died from aspiration pneumonia. The lawsuit seeks $2 million and claims the death was preventable. The state Office of Health Care Quality concluded after an investigation of the incident that Derrickson was not assisted with cutting her meat the day of the accident. Summerville has stated the lawsuit is unfounded. The assisted living community stands behind its employees and said the death of the woman was not on behalf of the staff members.